Unique packaging enables user to replace blades without having to touch the sharp edge. 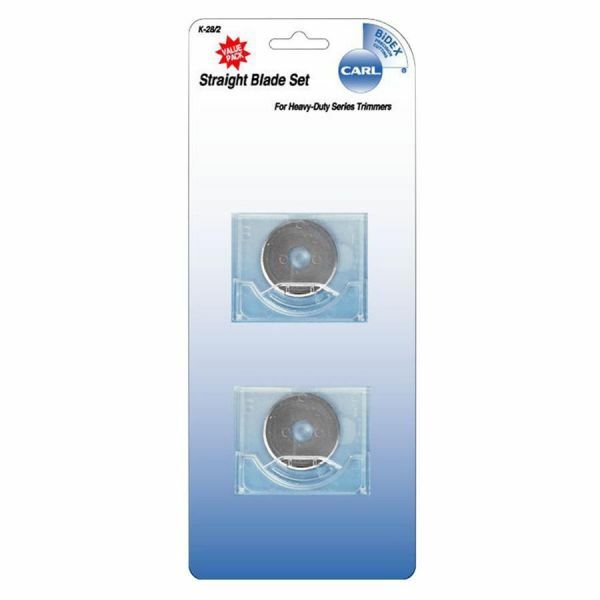 CARL Rotary Trimmer Straight Blade Set - Replacement straight replacement blades are designed for use with Carl DC-210 12", DC-220 15", DC-238 18" and DC-250 - 25" Heavy-Duty Rotary Series Trimmers. Premium steel blades ensure a precise cut. 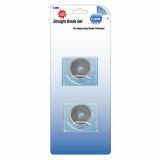 Unique packaging allows you to change or replace blades without ever having to touch the sharp edge. DC-210 12" DC-220 15" Carl Heavy-duty Rotary Series Trimmers: DC-238 18" DC-250 25"